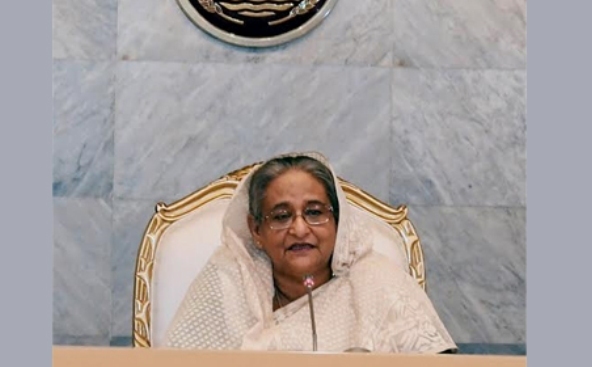 Reiterating her government’s farm stance against corruption, Prime Minister Sheikh Hasina on Sunday said the government will continue its fight against graft to keep up the country’s development spree and uphold its achievements. “Though it’s not possible for any country to root out cent percent corruption, it’s a responsibility of our government to check corruption so that it cannot impede the uplift of the country and ruin our all successes,” she said while exchanging views with senior officials of the Prime Minister’s Office (PMO) on the first working day of her office at the PMO after her reelection as the prime minister for the fourth time. The premier continued: “Our war to stamp out terrorism, graft and narcotics will continue”. Sheikh Hasina said once the incidents of tender hijacking took place frequently in the country. “But, we’ve been able to free the country from this curse…the success came due to the use of technology and it’s a good result of Digital Bangladesh,” she added.